Okay, so it's more caramel than camel and it's an Hermès Birkin! But it is the ultimate classic handbag and a true fashion investment. 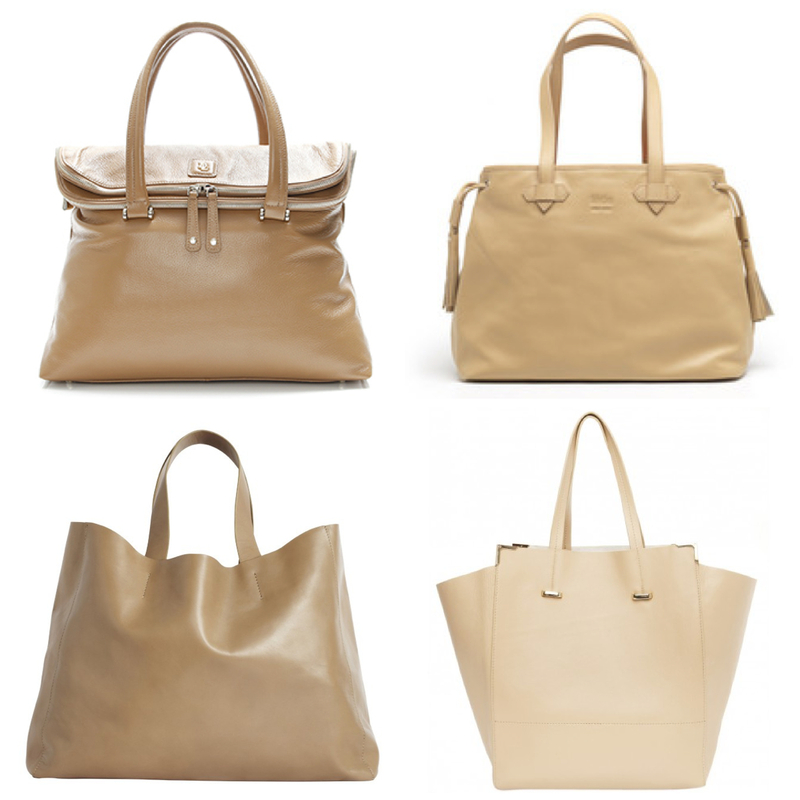 PERFECT for winter or summer, the neutral tone will work with everything in your wardrobe. Look for elegant clean lines as fussy or on-trend hardware treatments will date immediately. And always buy the best quality you can afford as a great handbag will give you a great return on your cost per wear ratio. And while you're at it, look for matching or co-ordinating leather loafers, ballet flats or heels as they will complete your look providing you with endless possibilities. Trust me, you won't be sorry! To keep clean, it's best to use a cream leather cleaner and conditioner, both of which are available from shoe repair shops. Eclettica Cuzco leather tote, $248. and Rachel Ruddick East West leather shopper, $399.